How to Change Main Review Box Position After Content? How to Change Main Box Position? You are here: Home / Docs / How to Change Main Box Position? 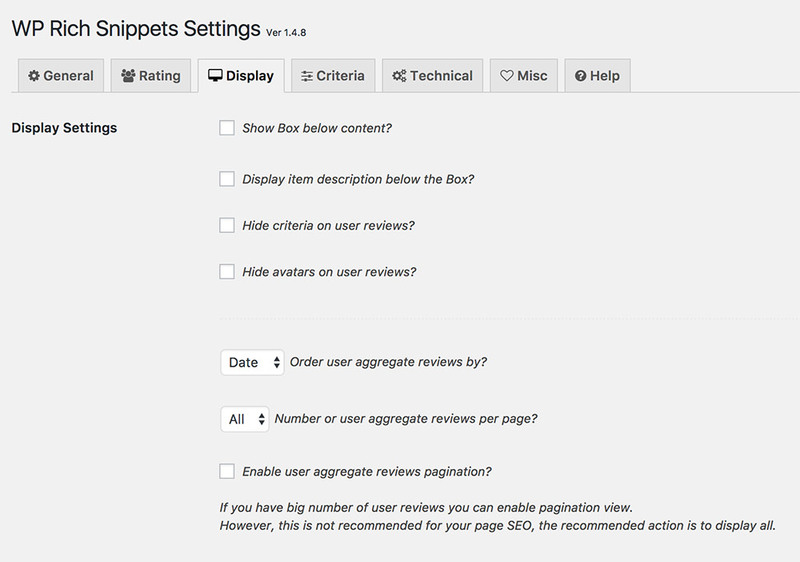 This documentation page explains how to change the main review Box position in WPRichSnippets plugin, for example you can display the Box below (after) post content. This can be done within the Display settings. If you would like to display the Box anywhere on the page manually, then take a look at the Box shortcode add-on. Go to the plugin settings > Display tab. Note: This will take place on all posts and pages on your site. 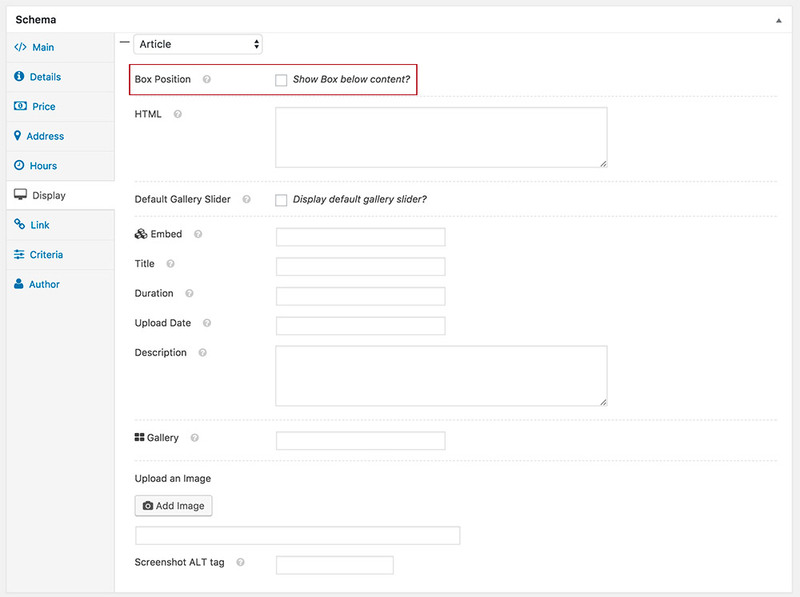 If you want to change the main Box display position for a specific post or page, then use this settings. When you enable this settings, the Box will start showing at the end of your post content.